We welcome students of all races, religions, national and ethnic origins, and socioeconomic backgrounds. We represent a richly diverse international community within Austin, and our alumni become true global ambassadors. Please complete an Inquiry Form or contact us at info@frenchschoolofaustin.org to set up some time to meet with our Director and take a tour of our facility. You are also welcome to attend one of the informational sessions that we schedule in the fall and spring. If you would like to visit our school, you may attend an informational session offered during the school year or schedule a private meeting after 5:30 p.m. or on Saturday mornings. To reserve space in these limited group events, or to schedule a private meeting, please register in advance by filling out an inquiry form. Click here to fill out an inquiry form. Our Informational Sessions are organized for parents only (no children please) to introduce them to our school and curriculum. We will have the opportunity to meet with your child at a later time. You are invited to return the Application for Admission along with all necessary documents to Ecole Jean-Jacques Rousseau at 11607 North Lamar, Austin TX 78753, using regular or First Class Mail (not certified mail). You are welcome to drop off your application in person or during our open house or at a private meeting. Complete, sign and date the Application Form; include your child’s last two years’ transcripts (if applicable); and a check of $100.00. Your application will not be processed without the payment of the processing fee of $100.00. This fee is non-refundable. Please note that submitting an application does not guarantee admission to our school. Upon reception of your complete application package, and if needed, a private meeting, with your child, will be scheduled to further discuss possibilities of enrollment JJR. A signed and completed Tuition Agreement. School records of the previous two years (when applicable). Enrollment Fees including 10% deposit of annual tuition, $1,000 New Student Fee and Material Fee. See Deposit amount per level under Tuition & Fees. An Evaluation Form at preschool level, if applicable. Click here for the Evaluation form. A Pre-School Readiness Form, if applicable. Click here for the Pre-School Readiness Form. A passport type, recent photo of your child. A copy of his/her updated immunization record. For Middle School Students: Report cards for the two previous years. A letter of recommendation is recommended. This applies from 6th Grade through 8th Grade. If the entrance exam applies, parents will be notified of the required Entrance Exam. No entrance exam is necessary for incoming preschool and K students. 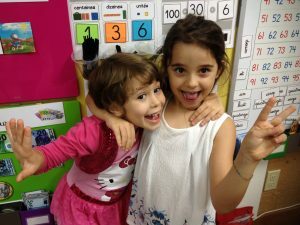 For incoming preschool and K students, since these younger grades are not given transcripts, a general evaluation from the preceding school is required: Preschool Readiness Form for Preschool or Evaluation Form for Kindergarten. For those entering 1st Grade through 8th grade, applicants will be asked to take EJJR Entrance Exam and/or interview. 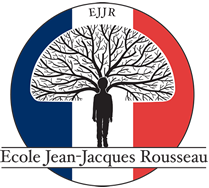 Ecole Jean-Jacques Rousseau is a unique opportunity for young children to share different cultures and languages and take advantage of the excellence of a French education in an American multicultural setting. We are looking forward to meeting with you very soon.